Robert Story was born in Wark-on-Tweed, Northumberland on 17 October 1795, the son of a peasant farmer. Up to the age of 11 he attended the village school in Howtel, where he was introduced to, and became interested in poetry. Employed as a shepherd boy he began composing his own verses during the long hours spent on the Cheviot Hills. He later became a minstrel boy where he acquired a rich knowledge of local folk music and legends. He eventually became a pupil teacher which led to his appointment in 1820 as schoolmaster in Gargrave. The first schoolroom was in a cottage in South Street, later moving to the Wesleyan Chapel. In 1828, Matthew Wilson, owner of the Eshton estate, which included Gargrave and surrounding lands, built him the schoolhouse that bears his name in North Street. Robert Story married Ellen Ellison in May 1823. They had six children, He became a well-liked figure in the parish, becoming the Parish Clerk and a Sunday school teacher. He was interested in politics and became a Tory at a time when Sir Robert Peel and others renamed the party ‘Conservative’. 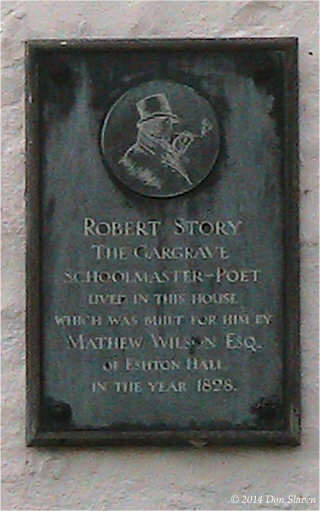 Robert Story wrote poems and songs which were published in Conservative newspapers. 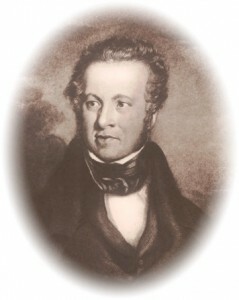 After the 1835 election he enjoyed a brief period of fame as the ‘Poet of Conservatism’. In 1843, through the influence of his patrons – Matthew Wilson of Eshton Hall, John Coulthurst of Gargrave House, and the Duke of Newcastle — he was appointed by Sir Robert Peel’s government to a Clerkship post in Somerset House in London. He and his family then moved south to live in Battersea. Sadly, four of his six children died in London. 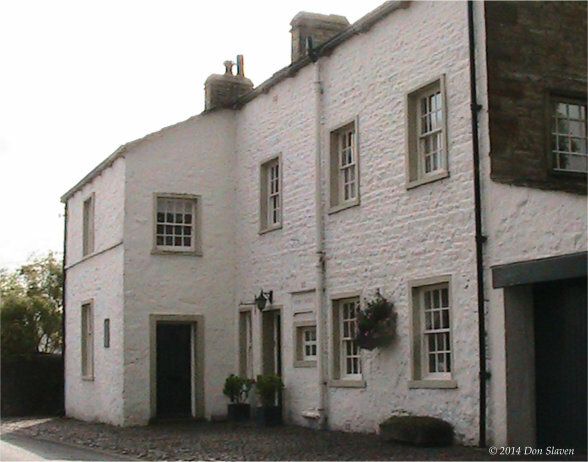 Prior to the second world war, ‘Story’s House’ in North Street was owned by Mr. Harry Turner and it was he, along with the founder of the Craven Museum, who commemorated the poet by placing a plaque on the North Street house. Robert Story died in 1860 and is buried in the Brompton cemetery in London. 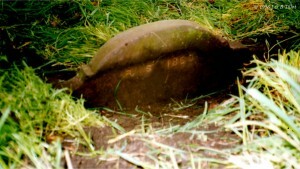 His grave was not discovered until 1998 after John and Beth Tillot, who lived in Story’s former home, had spent four years tracing his final resting place. 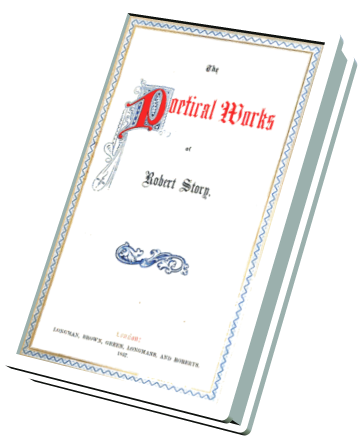 Reference: The Life of Robert Story (1862), by John James, one of Story’s literary circle in Bradford (held by only four UK Libraries).